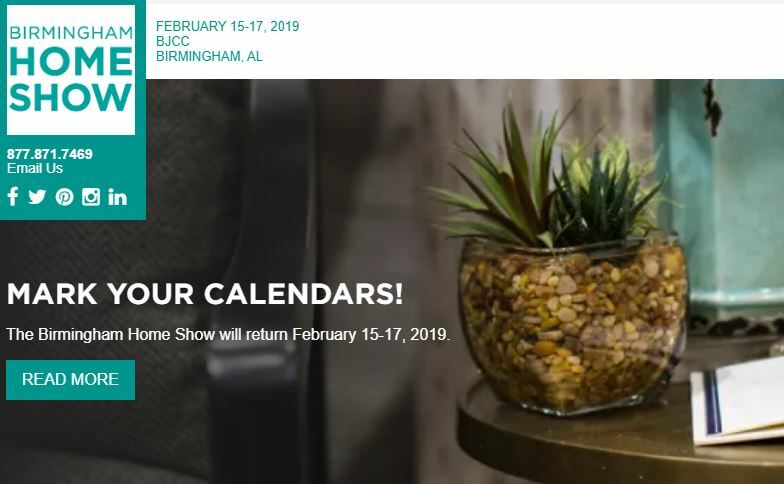 Mark your calendars for Birmingham Home Show, returning to the BJCC, February 15-17, 2019! What can you look forward to at Birmingham Home Show? Visit the HOMETOWN FLAVOR COOKING STAGE where local chefs will be performing live cooking demonstrations and offering samples of great recipes throughout the weekend on the NEW cooking stage. Visit the FRESH IDEAS STAGE for lively presentations by local and national home and garden experts all 3 days of the show. Visit the Pet Plaza to see a variety of accessories, toys, and grooming services for your furry family member! And lots more! Speakers at this year’s Birmingham Home Show include BRETT TUTOR from TLC’S TRADING SPACES, TRACE BARNETT from THE BITTER SOCIALITE, MELANIE TURNER from LIVING LUXURIOUSLY FOR LESS, and….. ME! Yes, that’s right! I’ll be doing a short couponing presentation at Birmingham Home Show – Friday at 2pm and Saturday at 3pm. So if you’re there, stop by and say hello! And hopefully, to get some of my readers there, I’ve got tickets to give away! I’m giving away two pair of tickets courtesy of Birmingham Home Show! Giveaway Tickets will be left at Will Call under the winners name and are not day specific – you can use them the day of your choosing! Giveaway ends 2/10/19 at 11:59pm cst. Winners will be contacted by email to confirm attendance and will call name. Winners will have 48 hours to respond to confirmation email or a new winner will be chosen. Good news for military, teachers or federal workers! You can go to the Birmingham Home Show for free! HERO DAY is Friday, February 15. All active and retired military, and first responders get into the show for FREE! Present valid ID at the box office. Teacher Appreciation Day is Sunday, February 17. All Educators and School Employees , to attend the show free of charge. Simply present valid ID at the box office. Federal Government Workers – Free Admission. Free admission to Federal Government Workers all 3 days of the show. Please bring your valid Federal ID to the Box Office to claim your complimentary ticket. ONE COMPLIMENTARY TICKET PER ID. *Please note these offers do not include a ticket for friends or family members. One ticket per ID.